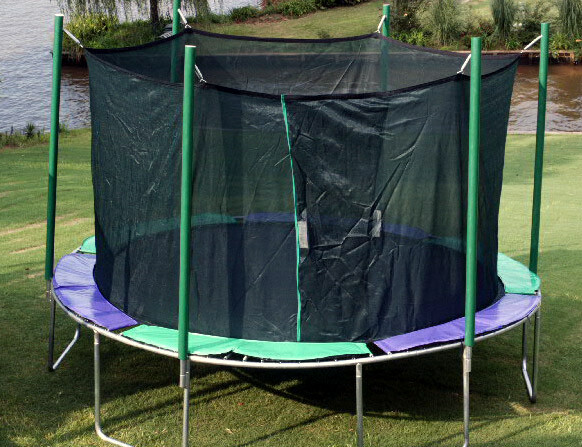 We’ve all seen round trampolines and rectangular trampolines are so [square]. 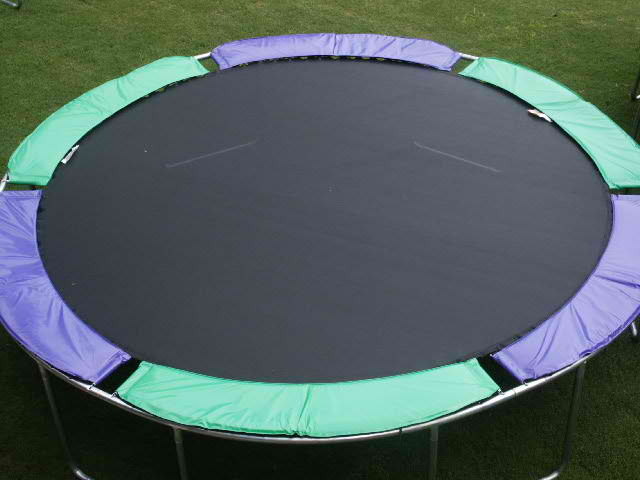 Think outside the usual shapes of trampolines and become the owner of the 16ft octagon Magic Circle Trampoline. It gives slightly more space and a more unique look. 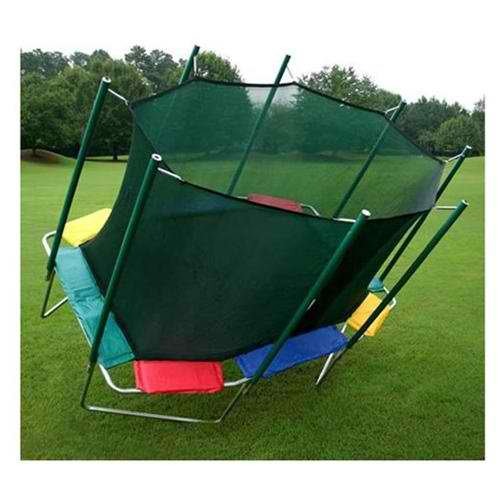 The 16′ octagon comes with 8 individual safety pads and the color options are; purple, green, and yellow and can be ordered all one color or 2 colors of any combination. The frame consists of 4 pieces, 13 gauge steel, 1.9″ in diameter, plus 4 one piece legs and has 112 springs. Good quality, 10 oz vinyl pads that definitely stay in place – a spring goes through a pocket at each end plus elastic tie-downs. Color Choices! 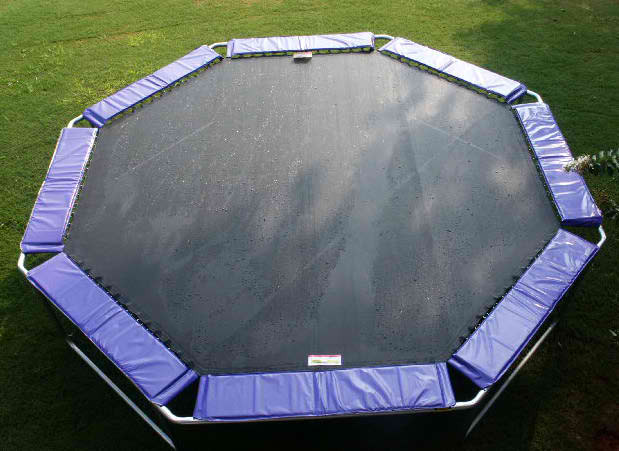 8 pads on octagon trampolines. Make them all one color, two or three for a more personalized look.